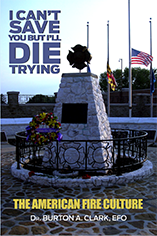 I Can’t Save You, But I’ll Die Trying: The American Fire Culture is a collection of essays representing years of fire-service experience including operations, prevention, education, safety, leadership, culture, and philosophy giving readers, both civilian and firefighters, a new understanding of our fire culture. The book reveals important changes society must make to provide a more fire-safe environment for firefighters and the public. With an emphasis on World War II military facts, Doug James explores warfare throughout the history of mankind. Did you know that tattooing became a naval fashion in the 1700s, or that Dr. Mary Walker was the only woman to receive a Congressional Medal of Honor during the Civil War, or that the microwave oven was a by-product of a World War II invention? 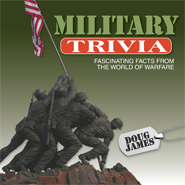 Military Trivia is filled with fascinating tidbits that reveal the ironies and brutal realities of man's experience during wartime. 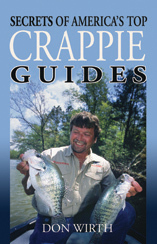 Don Wirth goes straight to the country’s best crappie experts for their “secrets” on catching more and bigger of the fish he calls “an American treasure” in Secrets of America’s Top Crappie Guides. Packed with tips, insights and practical advice gleaned from years of combined fishing experience, this book will be an invaluable tool for beginning fishermen and seasoned anglers alike. Standing Up & Standing Out is the inspirational story of Roland’s journey through one of the most important and turbulent periods of American history. Born in rural Tennessee just before World War II began, Jones tells how he dealt with racial prejudice and turned an unexpected opportunity with McDonald’s Corporation into a highly successful, twenty-five year career as its first African American corporate executive and franchisee. 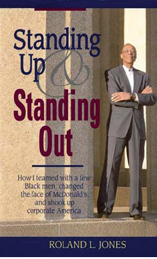 With other black McDonald’s owners, supervisors and managers, he started a wave of change that transformed the attitudes and culture of one of the country’s largest companies, and ultimately, corporate America in general. D. Felicia Walker thought she had it all—a beautiful home, a fulfilling career, two wonderful children and a loving husband. But Walker’s world came crashing down around her when her husband confessed he was bisexual and HIV-positive. Though angry and frightened, Walker decided to stay with her husband, even when his health spiraled out of control. 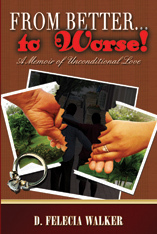 From Better to Worse is the dramatic, true story of Deborah’s life and challenges as a wife, mother and career professional as she strived to honor her marriage vows, her commitment to her family and God. 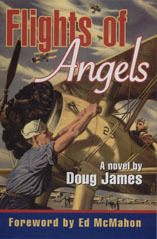 Flights of Angels is a novel about one man’s journey from cadet to skilled flight instructor in the Navy’s V-5 flight program during World War II. Billy Benson’s rigorous training and experiences in the program result in his involvement in a mysterious secret mission that will be his ultimate test. Flights of Angels also tells the story of how Americans experienced life on the home front during this critical time. While the characters and story are fictional it could well have been any number of young American servicemen who served gallantly in the war to end all wars. Flights of Angels is historically accurate, providing a firsthand look into the day-to-day challenges training to become a Navy pilot and extraordinary insight into life in America when the entire nation was united in the defense of our freedom. It is based on three years of meticulous research, interviewing dozens of individuals and family members of the men and women who served in the Navy Air Service.